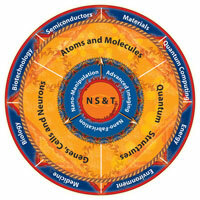 It is truly astounding to contemplate the potential impact of nanoscale science and technology on our future society. The emerging developments in nanoscience and nanoengineering are making it possible to manipulate matter at the most fundamental levels that control the way most everything functions. While there is still much to be learned, it is becoming possible for man to engineer systems at the nanoscale that rival or even improve on natural systems. A few examples, given below, of the impact of recent research accomplishments in various sectors of society may better serve to illustrate the optimism many scientists feel about the future of nanoscience.